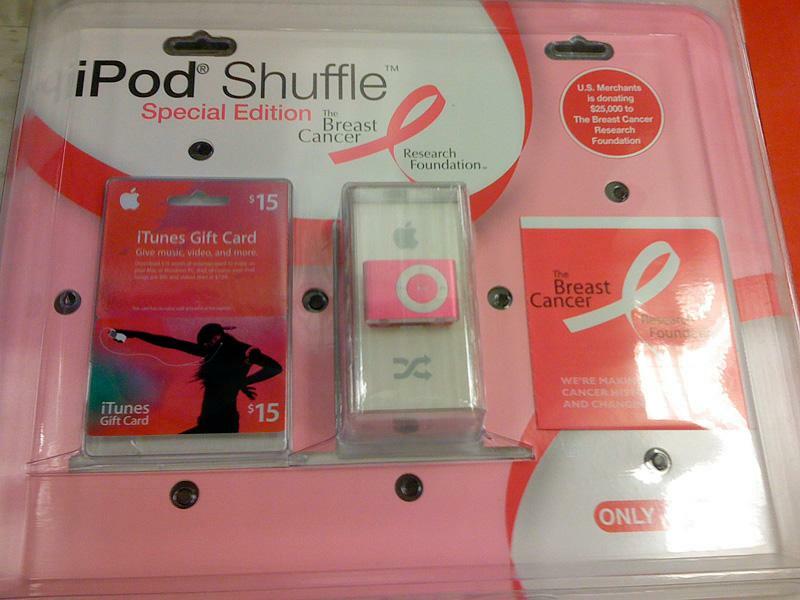 Big-box retailer Target this month began offering shoppers a special edition pink Apple iPod shuffle and iTunes gift card combo, sales of which help support the fight against breast cancer. It's unclear whether the promotion is in association with Apple or simply a move by Target to help move some of its remaining inventory of second-genration iPod shuffles. Nevertheless, the bundle represents one heck of a deal for females (or anyone who knows a female). For the same $79 that Apple charges for the diminutive clip-on digital players, Target is also throwing in a $15 iTunes gift card. In addition, the retailer is donating a portion of the proceeds of each sale to The Breast Cancer Research Foundation —up to $25,000 in total. In speaking to AppleInsider, a representative for Target said its stores began receiving the new combo offering about two weeks ago. Most stores should have a handful of units in stock, though it's unclear how long supplies will last. Apple last month refreshed the iPod shuffle line with a new candy-colored hues, but otherwise made no changes to version of the player released during the same period a year ago. As part of the color palette change, however, it did away with the pink model in favor of its first-ever purple iPod. 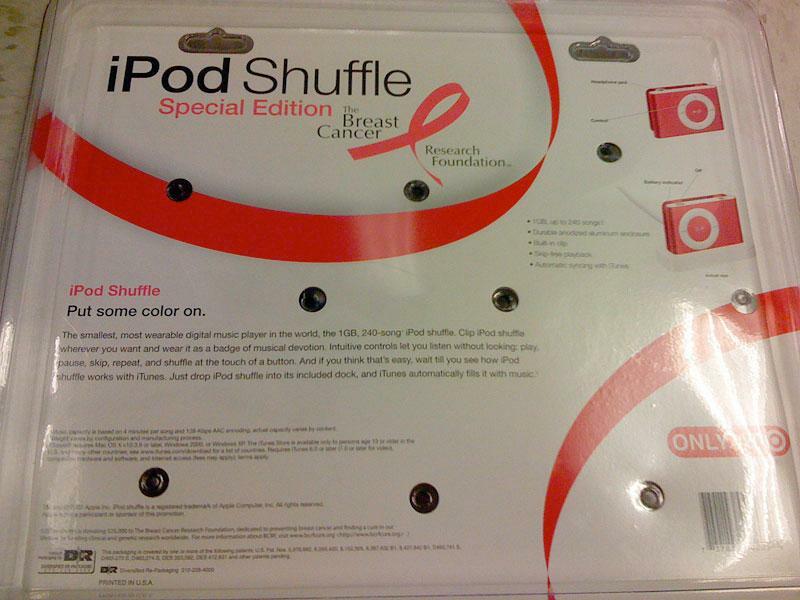 Special Edition pink iPod shuffle available only at Target retail stores. A portion of the proceeds of each sale are donated to The Breast Cancer Research Foundation. The Special Edition pink iPod shuffle combo is only available at Target's brick-and-mortar retail stores, though the retailer is also selling the player separately for $69 through its online store while supplies last.